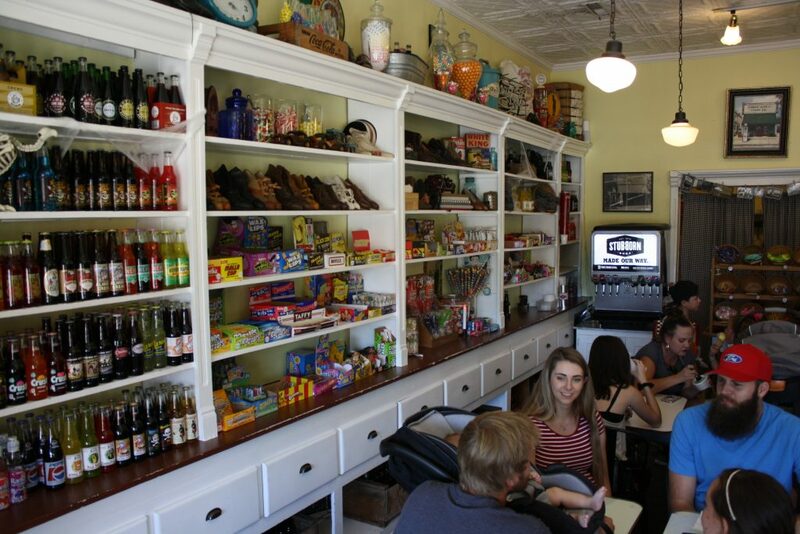 FEATURE – It provides visitors with a great dose of nostalgia, from its variety of retro candy and over 70 different glass-bottled sodas to the old-fashioned relics that adorn its walls. It’s been a fixture in the same location for over a century. 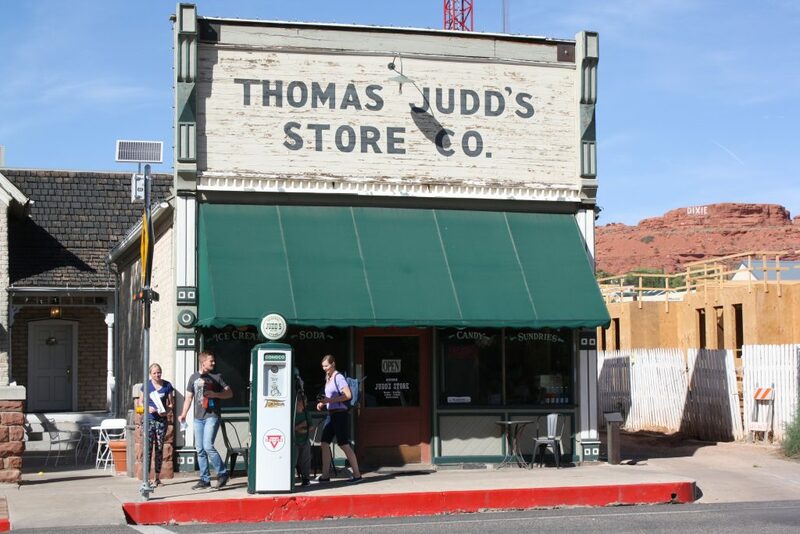 What patrons might not know about Thomas Judd’s Store in downtown St. George on Tabernacle Street is that it is the oldest ongoing business in St. George, and until its acquisition by Green Gate Village in the early 1980s, it was also the longest-running family-owned business in the city. 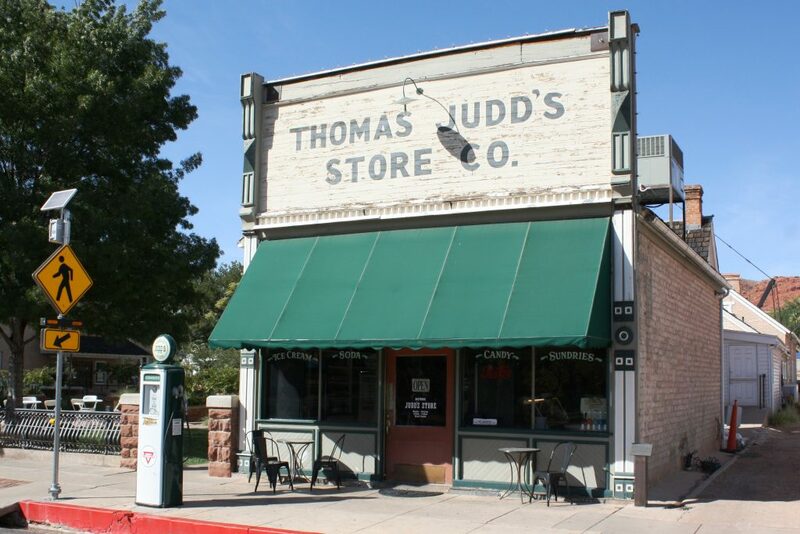 Thomas Judd was a prominent businessmen in early St. George. Born in 1845, he immigrated to Utah from England in the early 1860s after his family joined The Church of Jesus Christ of Latter-day Saints. He was a bugler in the Navajo Indian Wars of 1866-1870. 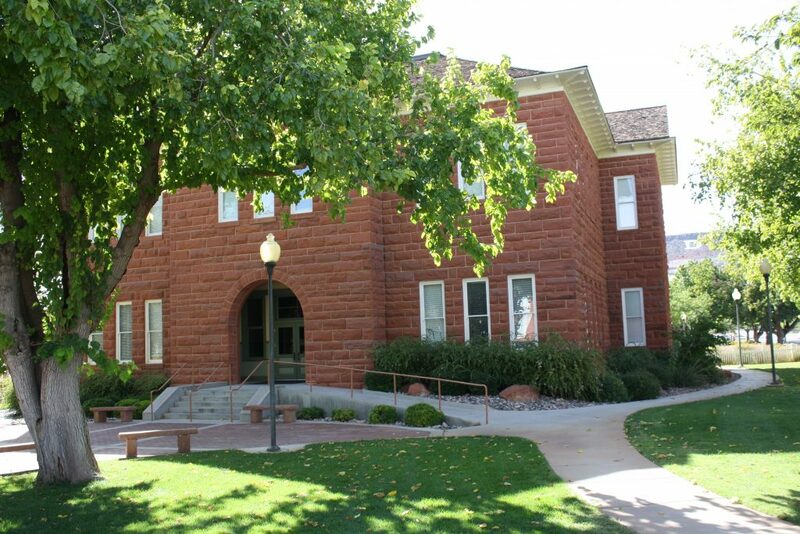 Along with two other partners, he opened the Woolley Lund and Judd Store in 1875, which provided competition for the Southern Utah Cooperative Mercantile store established by the church. He served a mission in his native England from 1876-1878. In addition to the jointly owned store, he had a hand in several other businesses in Washington County. In 1888, he developed a plan to divert water from the Virgin River onto the LaVerkin Bench via a canal and was forced to mortgage his home to raise the necessary capital to complete the project, which was a key factor in the establishment of LaVerkin. Judd also became president of the LaVerkin Fruit and Nursery Company to establish orchards and vineyards, manufacture wine and promote farming in the area. He also leased the Washington Cotton Factory for five years, from 1890-1895, employing 70-80 people and helping it turn a profit for the first time in its history. Judd served as bishop of the St. George 1st Ward for 18 years, from 1879 to 1897, after which he was called to colonize Whitewater, Nevada. He returned to St. George when he finished his assignment there and sold his much of his interest in LaVerkin, including what is now the Pah Tempe Hot Springs. 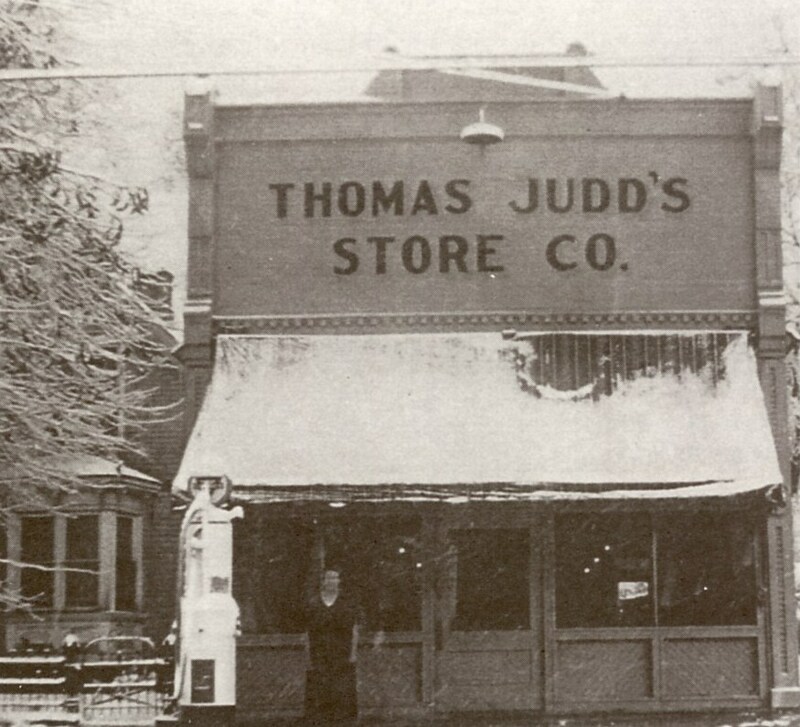 Judd constructed and opened the store in 1911, with its location across the street from the Woodward School being a fortunate one. The store was built with adobe that was the same thickness as the homes surrounding it – the home in back being Judd’s himself. The store became very successful. 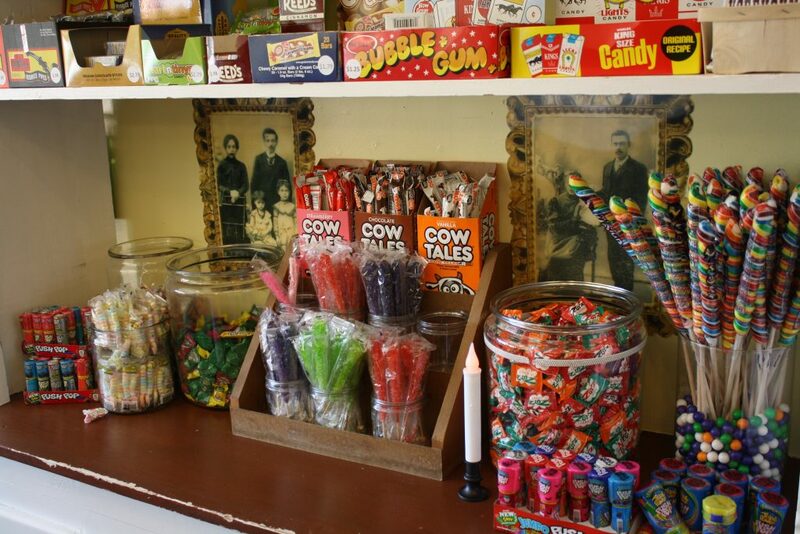 Instead of selling the treats it does now, it first catered to the needs of the area’s cattlemen and sheepherders, which were a major economic engine in Dixie’s early days. Back then, it sold everything from hay and grain to Levi’s and sheep supplies. It also carried groceries and dry goods, including clothes, kerosene, hay and fabrics. 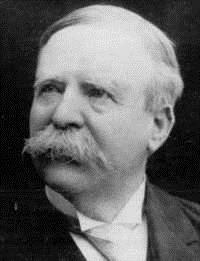 Thomas Judd died in 1922. His son, Joseph, continued to run the store and then turned operations over to his son, Tom. In the early 1980s, St. George City wanted to condemn the store and turn it into a parking lot, but thankfully Dr. Mark and Barbara Greene purchased the building in 1982 and incorporated it into Green Gate Village. 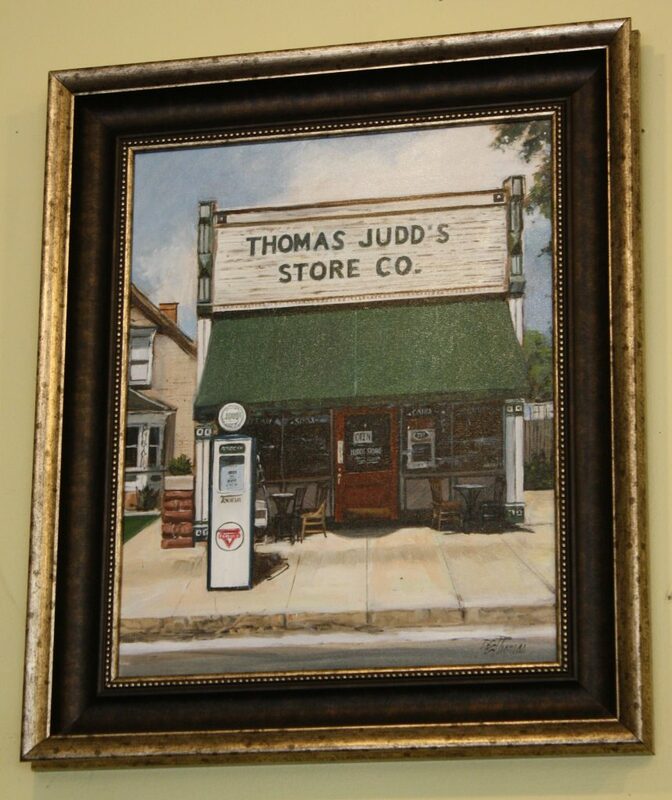 Tom Judd continued to operate the store even after the Greene’s bought it and retired in 1988. Judd’s store seemed to have a symbiotic relationship with the school across the street, first the Woodward School, which now serves as part of the Washington County School District offices, and then later with West Elementary, which stood where the 5th District Courthouse now stands. Students from the two schools were regulars at the store during lunch to get their fill of candy for the day. 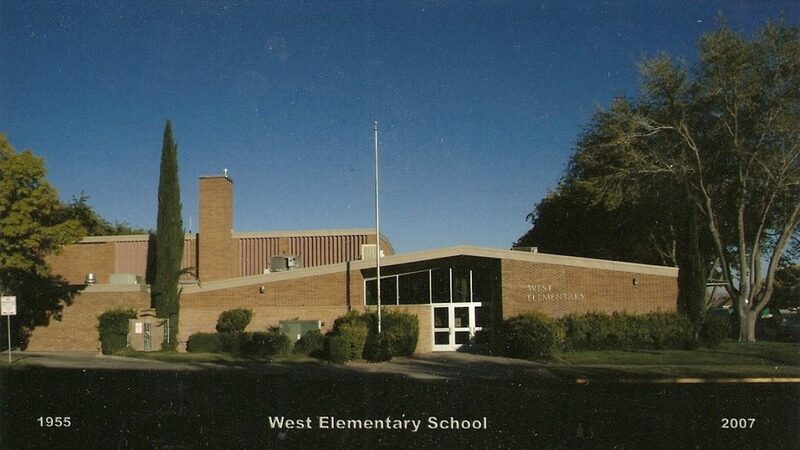 However, in 1983, the West Elementary faculty and principal decided to implement a closed-campus policy, barring students from purchasing anything from the store during school hours. The store proprietor at the time, Tom Judd, Jr., wasn’t keen on the decision. He admitted that, at the time, the store depended on students’ purchases, which he estimated accounted for approximately 50 percent of his business. The little store had a hard time competing with larger chain stores. Teachers said that children crossing the street posed a safety hazard, to which Judd countered, saying there had never been an accident involving a student in the store’s history. The teachers also said that the candy wasn’t good for their students and contributed to hyperactivity. Initially, the policy was implemented on a two-week trial, after which the teachers noted resoundingly that there had been fewer problems at the school since the change. The school principal admitted that he was not trying to hurt Judd’s Store with the new policy but that he was just looking out for the safety of his students. Later, however, the Washington County School Board made Judd’s Store an honorary part of West Elementary’s campus and gave students permission to cross the street and frequent the store during school hours if they had a signed permission form from their parents. The school board even received letters of support from community leaders criticizing the closed campus policy because it put an undue hardship on Judd’s Store. Heather Graff, who was a regular at the store when she was a student of the county’s 6th Grade Center (Woodward School) in the early 1990s, has worked Judd’s for about 15 years. She even has some family history at the store; her grandfather worked there in the 1940s. Back in her elementary school days, she said the store would host girls’ and boys’ days, when it would let about 10 kids in at a time to enjoy some food away from their school campus. “I remember it was swarmed with kids,” Graff said. Graff would get nachos, breadsticks and Pepsi during her trips there during school hours. The store still serves all three of those items. “I don’t remember anything healthy,” she noted. 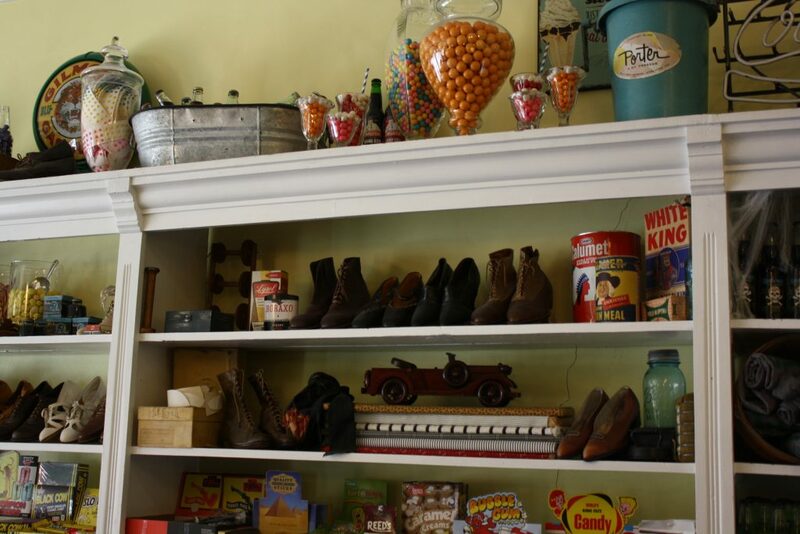 These days, the nostalgia of the candy and decor are certainly a draw for locals and visitors alike, Graff said, but it’s also the store’s friendliness that has endeared it in the hearts of many regulars. “People like to go where they feel important,” she said. The store’s staff gets to know the regulars’ names and have a good idea of what they will order based on what they’ve ordered in the past. “It’s like ‘Cheers’ without the booze,” Graff said, comparing it to the atmosphere portrayed in the popular 1980s sitcom about a neighborhood bar in Boston. The older generation love the store because it reminds them of their childhood, she said, and kids enjoy it because it reminds them of similar places they’ve been on vacation. Former Woodward School attendees especially love the walk down memory lane the store provides. One won’t find any sheep supplies in the store anymore, but what they will find is plenty of both sweet and savory treats – including breadsticks, three different soups served daily and of course, ice cream. Today, Jared and Rebecca Gulbranson own the store, managing its day-to-day operations. They are also partners in the ownership of Green Gate Village along with PEG Development of Orem. The Gulbransons, who hail from Canada, felt like owning the store would be a unique opportunity and enjoy the history of the place themselves, even though they have no ancestral roots in St. George. As an example, Jared Gulbranson spoke of a man in his 90s who came into the store last spring who said he used to buy his horseshoes from the store. The store still retains some original items in the interior, including its safe, scales and shelving, Gulbranson said. Even the shoes on display are original to the store, as they were found in the attic. 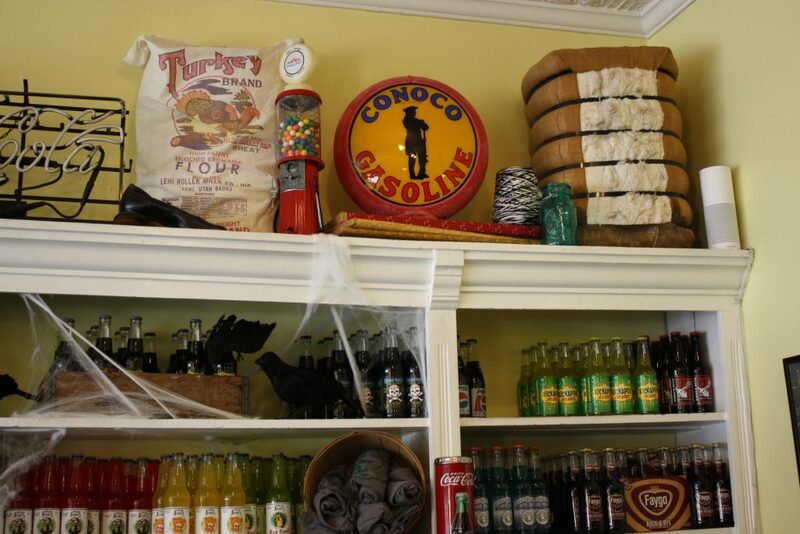 The store also boasts a gas pump made in 1946 out front. It’s not the original, but it’s in the same spot where a similar one once stood. However, the old piping for the pump is an actual remnant of the early days, Jared Gulbranson said, adding that there is likely still a tank down below. Another original aspect the new owners knew they had to keep was the store’s name. “We’d be strung up if we didn’t,” he joked. 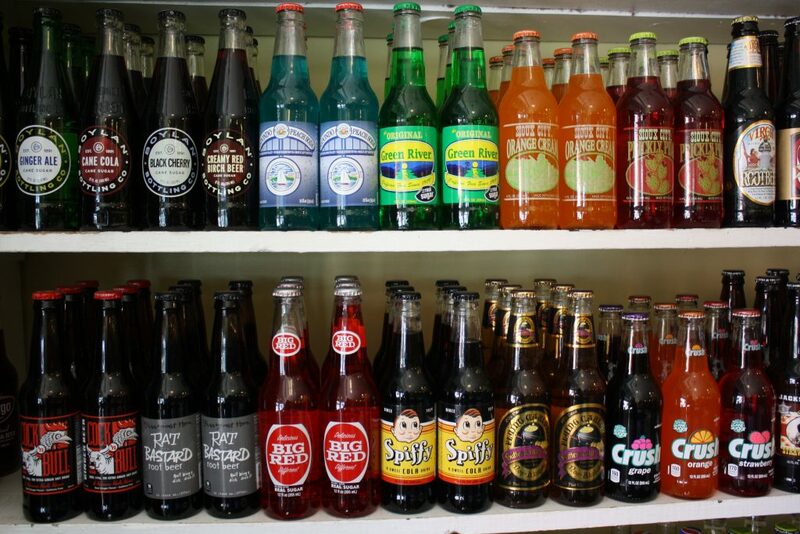 The Gulbransons pride themselves on supplying their customers with hard-to-find candy and sodas. They go to great lengths, literally, to supply their store with the rare items, some being imported from as far away as Japan and Australia. Sometimes these old favorites are lost for a while and then come back, he explained. For instance, in the next few weeks Beemans and Clove gum will appear on the store’s shelves for the first time in a very long while. The small store, located in downtown St. George at 62 W. Tabernacle St., has two tables to sit on inside the store and two more outside on the sidewalk. It is open from 9:30 a.m. to 5:30 p.m. I hope this works! Great video taken of Judd’s way back when I was a kid in the 80’s. Judd’s is a true treasure. Thanks for all the positive feedback, everyone. If you’d like to follow the Days Series, you can like my author Facebook page for Days Series previews, updates and further information about local history!